After acquiring 10 photographs of my book ‘The neighbour, his ex & the owner of the laundrette’ in 2008, I’m honored and thankful that Stadsarchief Amsterdam, the Municipal Archives of Amsterdam has now acquired my photographic series de Staat (the State) (2015) for their collection. White police booths with tinted, reflecting windows, popped up in the streets where I grew up. In no time they became a common and aesthetic feature of our streetscape. 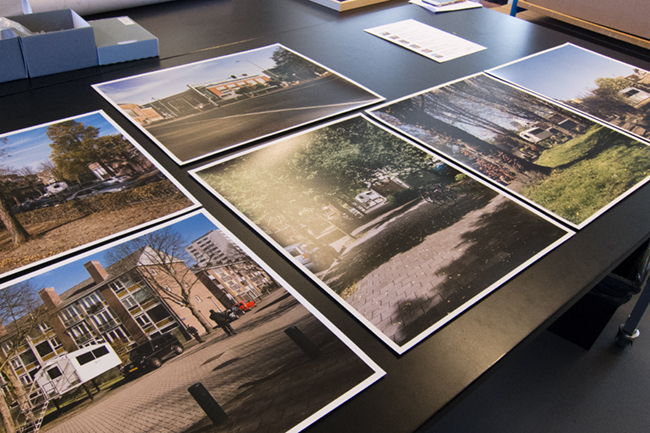 The series ‘de Staat’ depicts the increasing surveillance of public spaces.